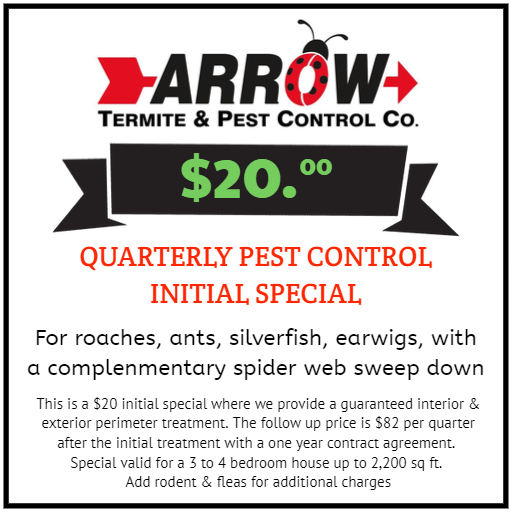 Schedule Quarterly Pest Control Service and save $20 on your initial treatment! 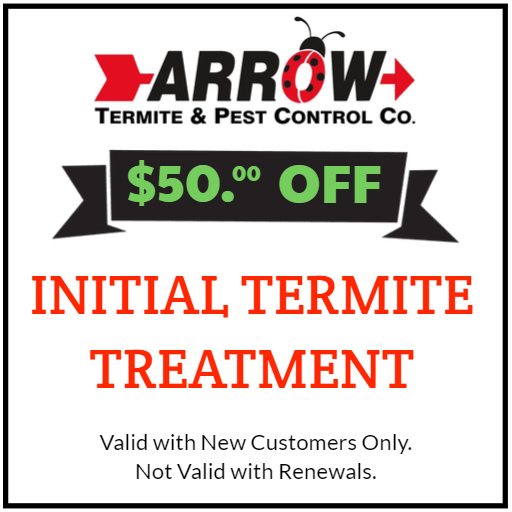 Sign up for your FREE termite inspection and save $50 on initial treatment. 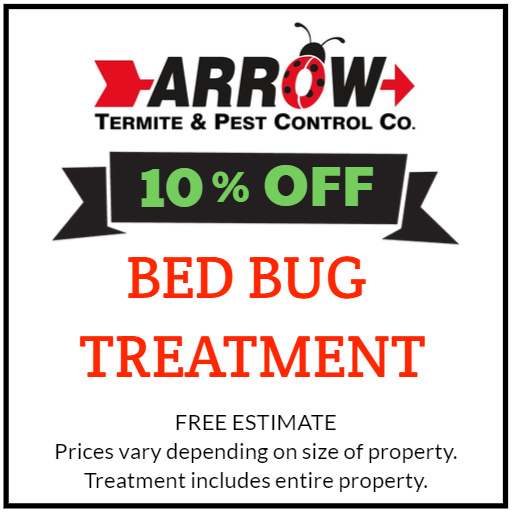 Get rid of bed bugs the professional way and save 10% on bed bug treatment. Take control of your yard and get rid of mosquitos for only $1 for your first treatment! 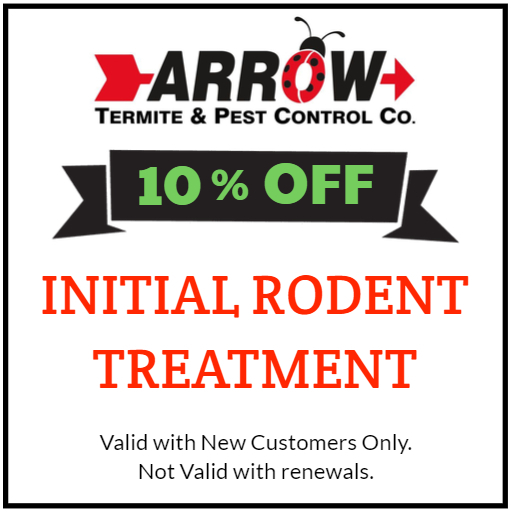 Sign up for our rodent control services today and save 10% off your initial treatment. Wipe out pest before they become a real threat! 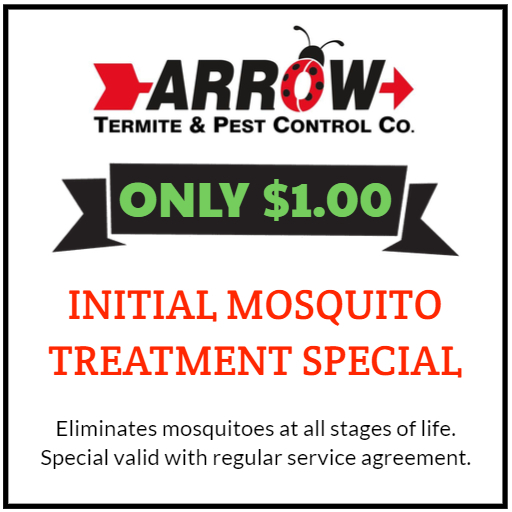 Our new treatment plan combines the best preventative care options at Arrow Termite and Pest Control. 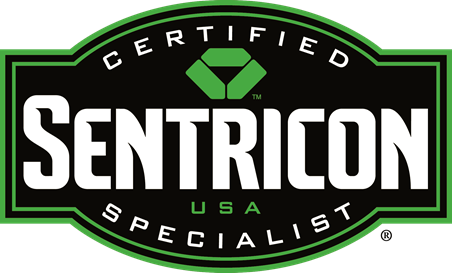 We’ve built an essential pest control package to protect your home! This new plan is a premium package created to make pest control easier to manage for homeowners! Enjoy protection against some of the worst pests: termites, roaches, silverfish, spiders and earwigs for a low-price. Easily manage professional protection on your property.